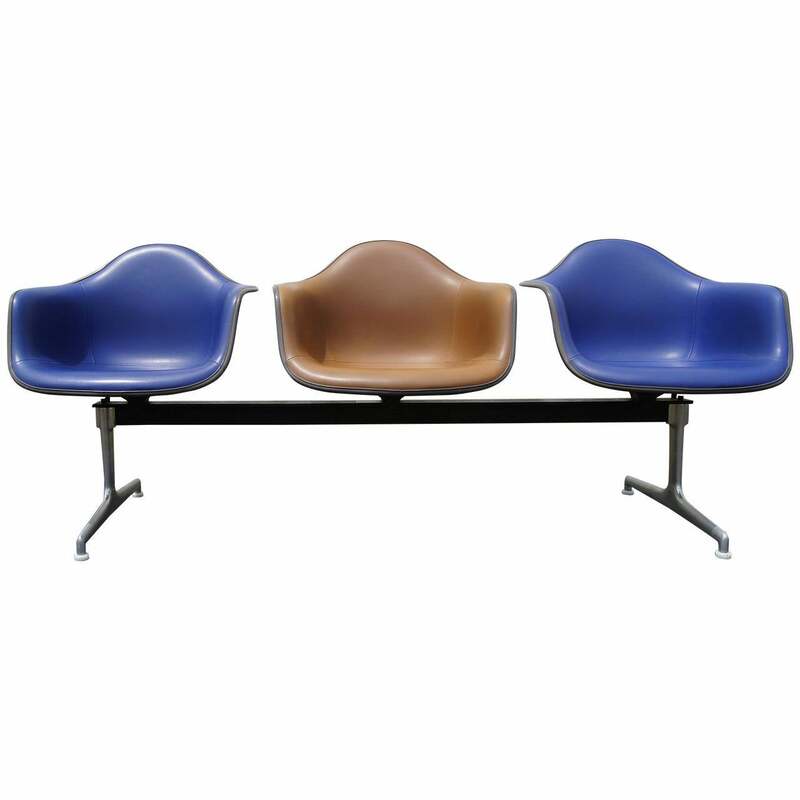 Charles and Ray Eames developed this tandem shell seating for Herman Miller in 1963 as a comfortable solution for heavily trafficked spaces. 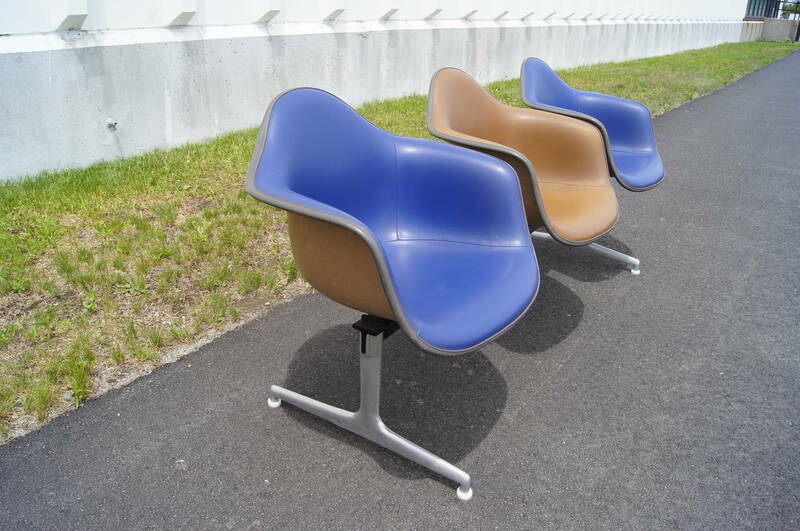 A row of three vinyl-upholstered fiberglass-reinforced armchairs, two in ultramarine and one in raw umber, attach to cast aluminium spiders that are mounted on a steel T-beam. 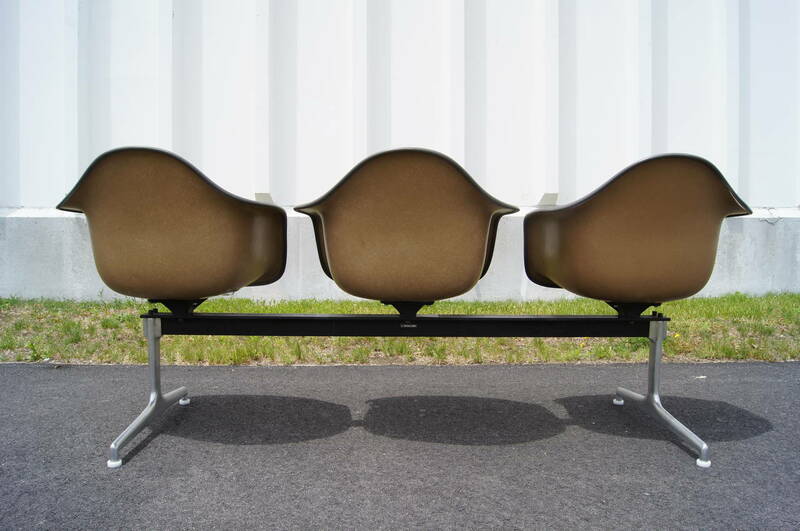 Once seen in airports and other public venues, the seating is perfect for a lounge or modern rec room. 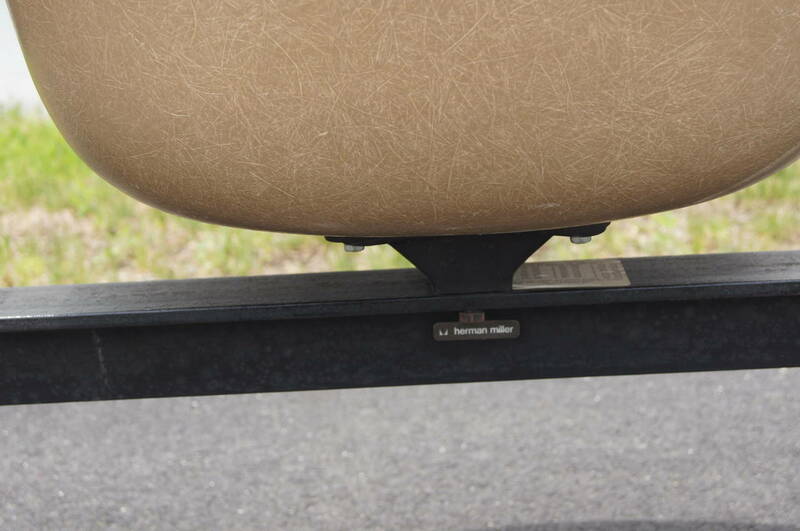 A corresponding tandem four-shell seating with white laminate tabletop is also available. 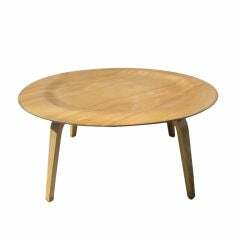 This round oak coffee table by Charles and Ray Eames is a great vintage example of their classic moulded plywood designs. 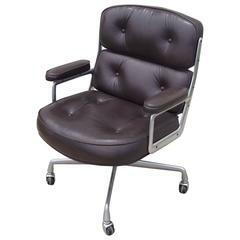 Office armchair with aluminum structure and leather seat. 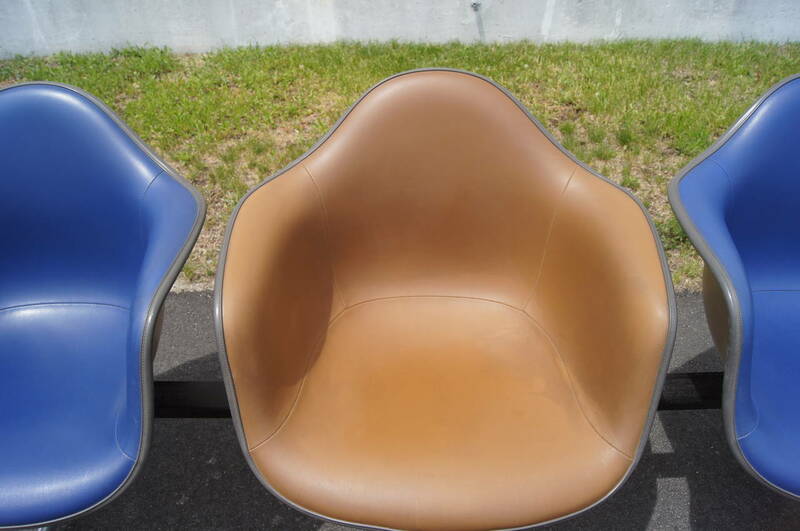 Swivel and reclining. 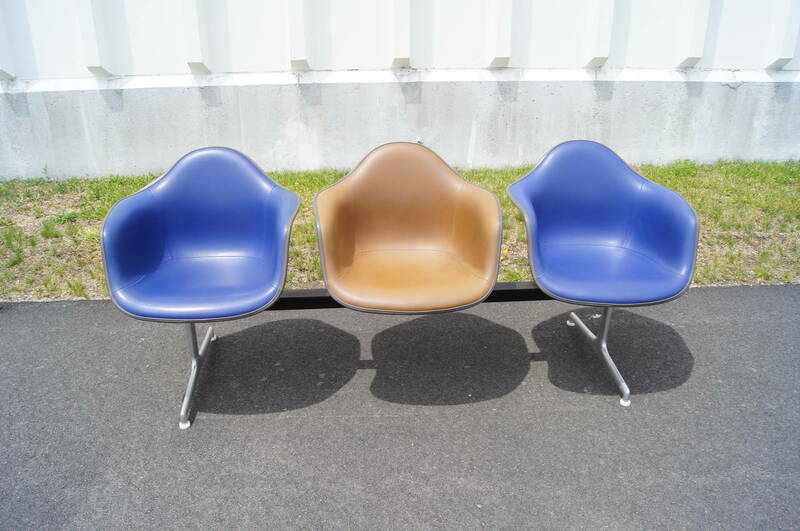 Designer Charles & Ray Eames Producer Herman Miller 1960s. Office armchair with aluminium structure and leather seat. Swivel. 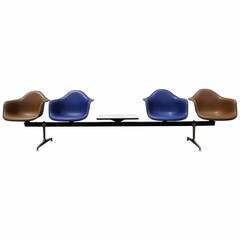 Designer Charles & Ray Eames Producer Herman Miller, 1960s.